New York Times bestseller Diane Mott Davidson is the darling of cozy mystery readers and dedicated foodies the world over. 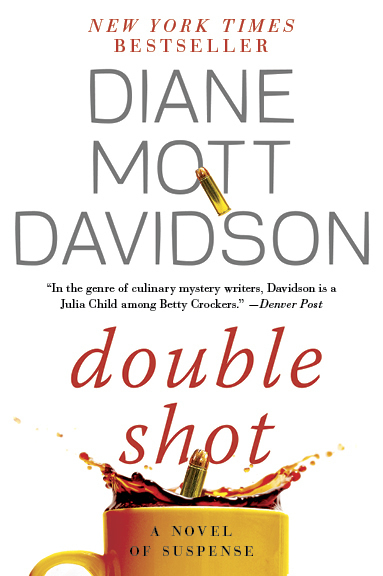 Davidson is really cooking with Double Shot, another tantalizing puzzle featuring her beloved protagonist, accomplished caterer and sleuth Goldy Schulz. Whipping up a rich souffl of murder and mischief, Davidson has Goldy in a stew once again, when the reemergence of her psychopathic ex-husband and a murder that follows soon after brings chaos into her world. And, as always, many delicious recipes from Goldys kitchen are featured as well.